Over 200 stickers of your favourite bad boy. Tony Ross makes him as cheeky as can be. 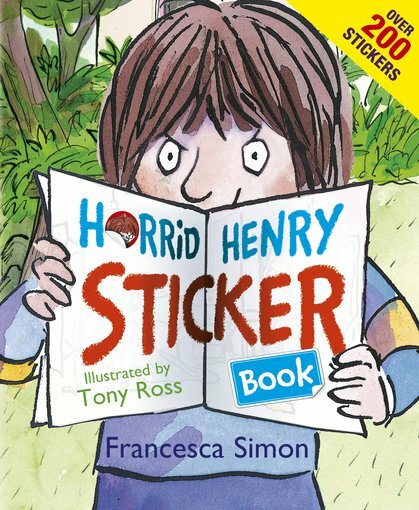 Henry’s horrid new sticker album is stuffed with pictures of his wicked pranks. But they’re not quite finished. He needs a partner in crime. Like YOU. Tee hee. Help Henry play tricks on Perfect Peter. Fill Miss Battle-Axe’s classroom with nits. Henry even has some horrid Halloween and Christmas fun lined up. But beware: this is for Purple Hand Gang members only. No Wormy Worms allowed.